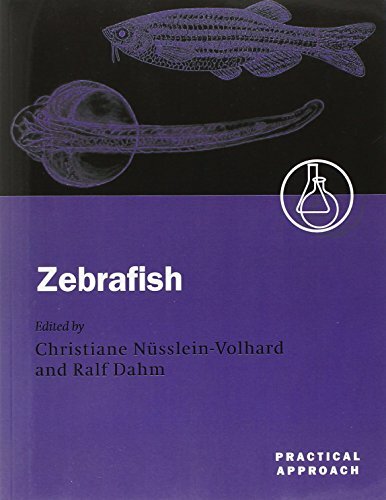 The zebrafish has become one of the most important model organisms to study biologial processes in vivo. As a vertebrate that has many of the strengths of invertebrate model systems, it offers numerous advantages to researchers interested in many aspects of embryonic development, physiology and disease. The next few years will see the completion of large scale initiatives that exploit the zebrafish as a model system for the understanding of gene function in vertebrates, including the sequencing of the genome. The zebrafish will therefore play an increasingly important role in the future of biomedical research. Whole genome sequencing projects, such as the human genome project, have led to the isolation of tens of thousands of genes for which the in vivo function is unknown. It is therefore likely that an increasing number of researchers will turn to organisms such as the zebrafish to understand the in vivo requirement for the proteins these genes encode. Recent technical advances now allow the rapid testing of in vivo function of as yet uncharacterised genes in zebrafish in large numbers and at a speed that is impossible in other systems. 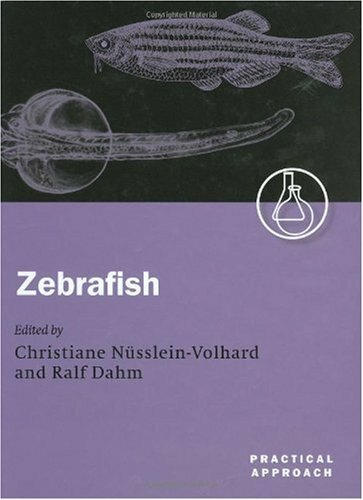 This book not only provides a complete set of instructions that will allow researchers to establish the zebrafish in their laboratory. It also gives a broad overview of commonly used methods and a comprehensive collection of protocols describing the most powerful techniques. Da: Repubblica Ceca a: U.S.A.